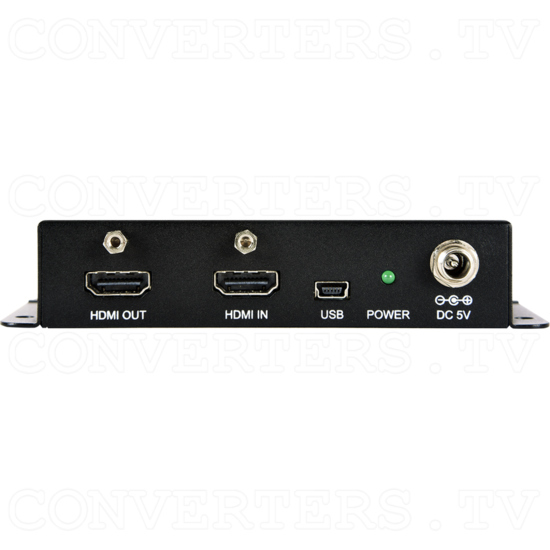 The 4K UHD HDMI EDID Emulator is designed to manage and manipulate the EDID information provided by a connected HDMI source device. 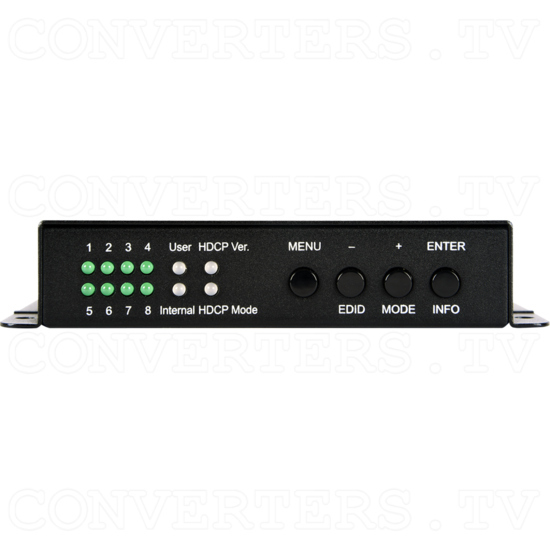 Extended Display Identification Data contain critical information about the capabilities of the connected HDMI display, including audio/video format support and HDMI features support. 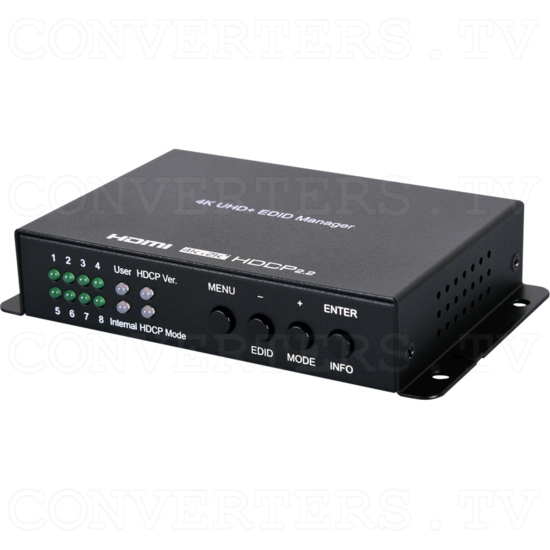 The 4K UHD HDMI EDID Emulator aims to simplify the technical complications that often arise when performing video system integration, home theater installation, display room setup, or audio/video equipment testing. Providing the ability to select between a display’s native EDID and pre-made EDIDs, the 4K UHD HDMI EDID Emulator also allows the user to copy EDIDs from other displays and to use them. Alternately, create customized EDID codes using the PC-based EDID management software. 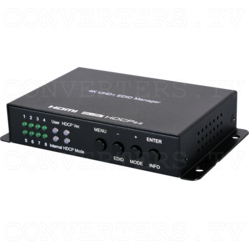 The 4K UHD HDMI EDID Emulator aims to simplify the technical complications that often arise when performing video system integration, home theater installation, display room setup, or audio/video equipment testing. Providing the ability to select between a display’s native EDID and pre-made EDIDs, the 4K UHD HDMI EDID Emulator also allows the user to copy EDIDs from other displays and to use them. Alternately, create customized EDID codes using the PC-based EDID management software.